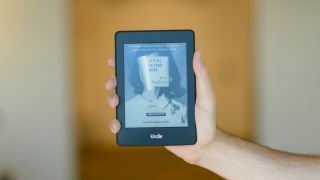 The Kindle First service has now launched in the UK. If you're an Amazon Prime member you'll be able to read one of four pre-release Kindle Books for free. Every month the Amazon Publishing editors will select four books, letting you pick the one you want to read before its official release date. You'll be able to read the books on any device with a Kindle reading app installed, or ereaders such as the Amazon Kindle Paperwhite. While one early release book is free every month for Amazon Prime members, it doesn't mean you'll miss out on Kindle First if you're not subscribed. If you don't have an Amazon Prime account you will still be able to select one of the featured books each month, and you'll be able to buy it for just £0.99, still a considerable saving over the usual pre-order price. This month's books you'll be able to choose from are From the Cradle by Louise Voss and Mark Edwards, The Glassblower by Petra Durst-Benning, The Fallow Season of Hugo Hunter by Craig Lancaster and My Sister's Grave by Robert Dugoni. These books have a release date of November 1, so if there's a title there that you can't wait to read, Kindle First might be just what you're looking for.